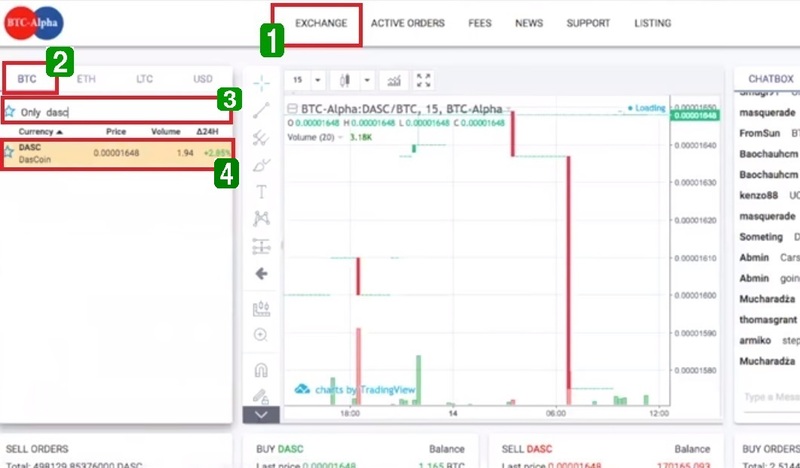 Here are the steps on how to trade Ethereum on BTC-Alpha, a cryptocurrency exchange that allows trading both in crypto-to-crypto and fiat-to-crypto through a developed web-based platform. 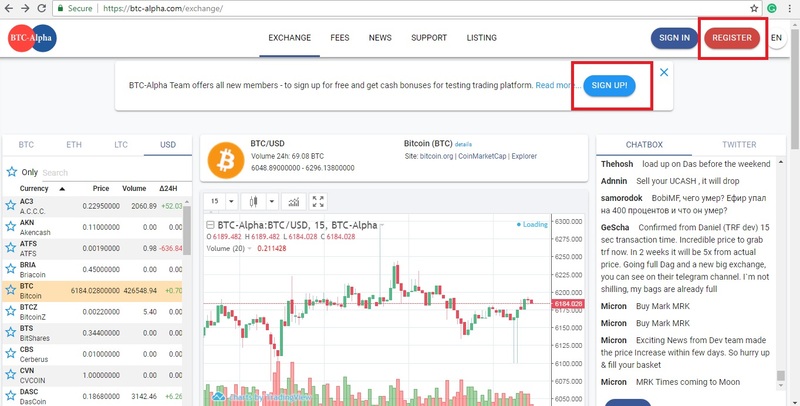 To create an account, visit https://btc-alpha.com/exchange/. Click on “Sign Up” or “Register” on the upper right part of the page. Great! You have registered an account on BTC-Alpha. To start using your account, you must first activate it. To do this, access the email you used in signing up. 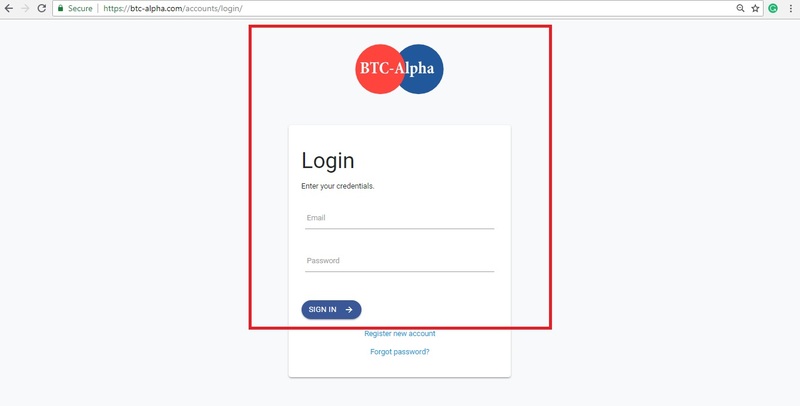 Open the message from BTC-Alpha and click on the activation link that will direct you to BTC-Alpha login page. You should see “email successfully verified” at the green ribbon on top, and your username on the upper right-hand corner after signing in. Awesome! You have verified your BTC-Alpha account. In the world of cryptocurrency, protecting your account is highly recommended. Securing your account means setting a Two-factor Authentication or what commonly known as 2FA. Two-factor authentication aka 2FA or TFA is a higher level of protection to ensure that the real user is the one trying to gain access to his or her account. This also keeps your account inaccessible by the web thieves. 2FA is composed of 1. the account owner’s username and password and 2. a piece of information the account owner knows, has or is, which includes OTPs sent to your mobile phone, PINs, answers to “security questions,” or a biometric pattern of a fingerprint. For cryptocurrency exchanges, the second factor is a code found in applications like Authy, Google Authenticator or can be received through SMS straight to the user’s mobile phone. We suggest you download the Google Authenticator app from Google Play or App Store for a more straightforward process and then go through the steps on this item. 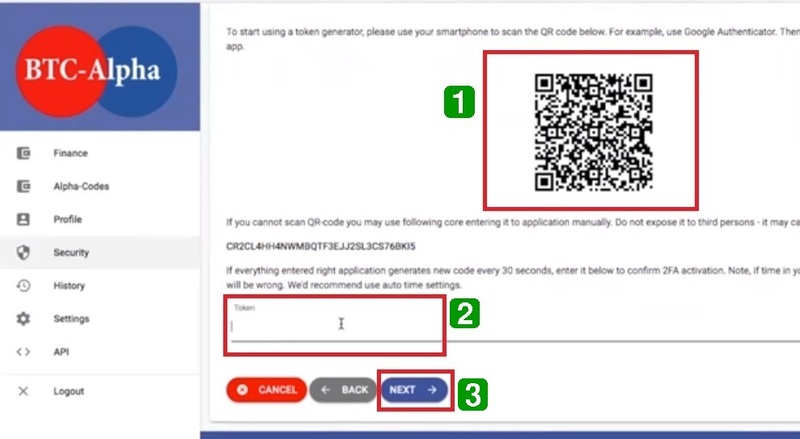 Take note of the 2FA code, for you need it when you need to do some modifications on your account. Every time you log in to your account or perform other actions on it, you need your phone and the code, which means no one could ever access your account except you. Nice! You have secured your BTC-Alpha account through 2FA. Now, you can fund your BTC-Alpha account. Let’s start with depositing FIAT money into your account. Select one of the systems provided in the BTC-Alpha Exchange Market (sign up beforehand) to deposit funds into your private account in the exchange market. Here, you have the options Advanced Cash, Perfect Money, and NixMoney. These are payment solutions platforms. In box 1, enter the amount you wish to deposit and hit “Checkout” or “Next.” You can check out the fee, minimal deposit, and maximal deposit in box 2. There you have it, you have just funded your BTC-Alpha account. After funding your account, you are now ready to buy and sell Ethereums. Let’s say you want to buy some DASC or DASCOIN. Select “EXCHANGE” from the top bar. Search “dascoin,” and then click on the result. Scroll down to see what the details are. You can check the amount on how much they are selling it in box 1. Next, you can change the price in box 2, and enter your desired balance in box 3. Hit “Buy” when you’re ready. Congratulations! You have bought your first Ethereum on BTC-Alpha. Transferring Ethereum from BTC-Alpha to other exchanges. How to transfer Ethereum from BTC-Alpha to Bits Blockchain? How to transfer Ethereum from BTC-Alpha to BCEX? How to transfer Ethereum from BTC-Alpha to B2BX? How to transfer Ethereum from BTC-Alpha to Upbit? How to transfer Ethereum from BTC-Alpha to Coinfloor? How to transfer Ethereum from BTC-Alpha to QuadrigaCX? How to transfer Ethereum from BTC-Alpha to HADAX? How to transfer Ethereum from BTC-Alpha to OEX? How to transfer Ethereum from BTC-Alpha to LBank? How to transfer Ethereum from BTC-Alpha to Fisco? How to transfer Ethereum from BTC-Alpha to BTCTrade? How to transfer Ethereum from BTC-Alpha to Qryptos? How to transfer Ethereum from BTC-Alpha to Coinone? How to transfer Ethereum from BTC-Alpha to BTCBOX? How to transfer Ethereum from BTC-Alpha to OOOBTC? How to transfer Ethereum from BTC-Alpha to CoinTiger? How to transfer Ethereum from BTC-Alpha to Bitstamp? How to transfer Ethereum from BTC-Alpha to Dragonex? How to transfer Ethereum from BTC-Alpha to RightBTC? How to transfer Ethereum from BTC-Alpha to EXX? How to transfer Ethereum from BTC-Alpha to gate.io? How to transfer Ethereum from BTC-Alpha to Exrates? How to transfer Ethereum from BTC-Alpha to CoinsBank? How to transfer Ethereum from BTC-Alpha to bitFlyer? How to transfer Ethereum from BTC-Alpha to Kraken? How to transfer Ethereum from BTC-Alpha to Coinbase? How to transfer Ethereum from BTC-Alpha to Gemini? How to transfer Ethereum from BTC-Alpha to Indacoin? How to transfer Ethereum from BTC-Alpha to 1BTCXE? How to transfer Ethereum from BTC-Alpha to Bitbank? How to transfer Ethereum from BTC-Alpha to Allcoin? How to transfer Ethereum from BTC-Alpha to DigiFinex? How to transfer Ethereum from BTC-Alpha to CEX.io? How to transfer Ethereum from BTC-Alpha to Idax? How to transfer Ethereum from BTC-Alpha to BitForex? How to transfer Ethereum from BTC-Alpha to OKEx? How to transfer Ethereum from BTC-Alpha to Bibox? How to transfer Ethereum from BTC-Alpha to KuCoin? How to transfer Ethereum from BTC-Alpha to HitBTC? How to transfer Ethereum from BTC-Alpha to Poloniex? How to transfer Ethereum from BTC-Alpha to TOPBTC? How to transfer Ethereum from BTC-Alpha to Coinbene? How to transfer Ethereum from BTC-Alpha to Coinegg? How to transfer Ethereum from BTC-Alpha to Bitlish? How to transfer Ethereum from BTC-Alpha to Gdax (CoinBase Pro)? How to transfer Ethereum from BTC-Alpha to Simex? How to transfer Ethereum from BTC-Alpha to itBit? How to transfer Ethereum from BTC-Alpha to Independent Reserve? How to transfer Ethereum from BTC-Alpha to EXMO? How to transfer Ethereum from BTC-Alpha to DSX? How to transfer Ethereum from BTC-Alpha to BitBay? How to transfer Ethereum from BTC-Alpha to Bitfinex? How to transfer Ethereum from BTC-Alpha to Coinsuper? How to transfer Ethereum from BTC-Alpha to ANXPRO? How to transfer Ethereum from BTC-Alpha to Binance? How to transfer Ethereum from BTC-Alpha to Bittrex? How to transfer Ethereum from BTC-Alpha to xBTCe? How to transfer Ethereum from BTC-Alpha to CoinFlux? How to transfer Ethereum from BTC-Alpha to YoBit? How to transfer Ethereum from BTC-Alpha to OKCoin? How to transfer Ethereum from BTC-Alpha to MixCoins? How to transfer Ethereum from BTC-Alpha to Bithumb? How to transfer Ethereum from BTC-Alpha to Lykke? How to transfer Ethereum from BTC-Alpha to LiveCoin? How to transfer Ethereum from BTC-Alpha to LakeBTC? How to transfer Ethereum from BTC-Alpha to BitInka? How to transfer Ethereum from BTC-Alpha to Gatecoin? Transferring Ethereum from BTC-Alpha to wallets. How to buy Ethereum on Simex? How to buy Ethereum on YoBit? How to buy Ethereum on Independent Reserve? How to buy Ethereum on Coinsuper? How to buy Ethereum on Gatecoin?